Happy Halloween Everyone! We just finished our usual Halloween Party. This party has mainly been a kid thing for years. Friends and family would bring over their kids after trick-or-treating and we would have cider and donuts and the kids would trade candy back and forth. This year they brought friends...only a couple actually went out, but the adults had cider (with a shot of brandy) and talked. There was apple dunking, but that was really it for the games. Then the teenager split up and talked and so did the adults. With everyone gone now I can come on and post the pictures I've been saving since Labor Day. You might remember the girls and I went to West Virginia for a white water rafting trip over the Labor Day Weekend. 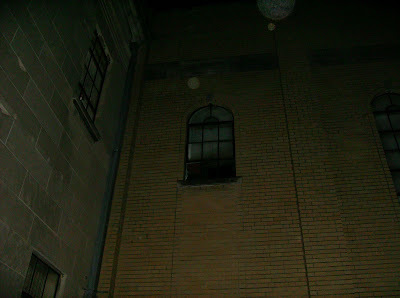 Well, one night while were down there we went on a walking ghost tour. It was a really cool tour and we learned lots about the area and the history of the Civil War battles fought there. 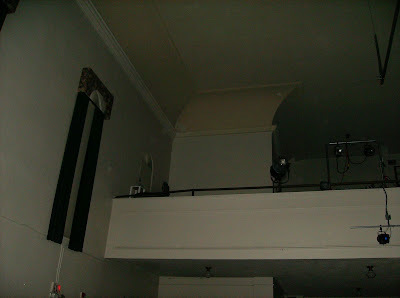 I took the following (creepy) pictures in the old Veterans Hall in Berkley West Virginia. 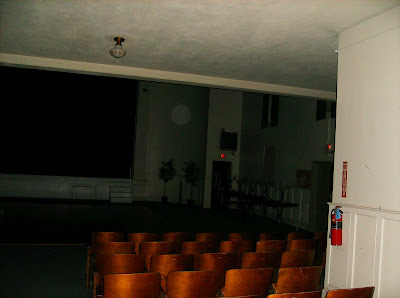 Anyone notice all the orbs?! 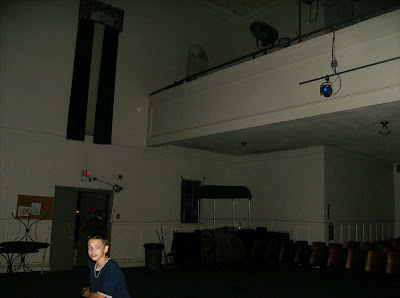 I can say that I took a ton of pictures all weekend, and since then and never had these kinds of orbs show up. 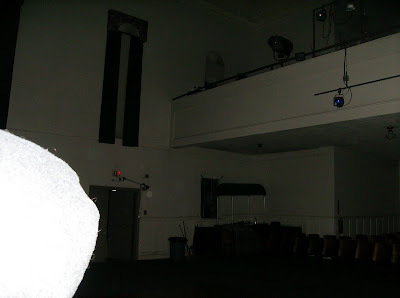 Also, the hall was pitch black and there were no lights to account for the orbs, or anyone else taking pictures at the same time. 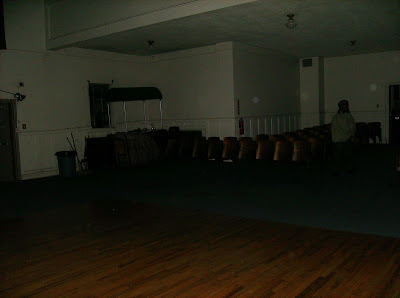 Very freaky!! So that's my little ghost story for the Halloween night. If you are ever in Beckley WV. I would recommend taking the tour. I hope everyone had a great night! I hope the goulies don't get you while you sleep! OMG! My sister lived in Beckly, WV years back. I won't share my mom's opinion of the area, nor will I provide my editorial about her ex-husband who originated from there. But to hear about Beckly, WV! Interesting! Science has loads of merit, but I've had a surprise or two regarding those things we can't see with our eyeballs! Some things don't have an explanation - and it makes life wonderful!!! 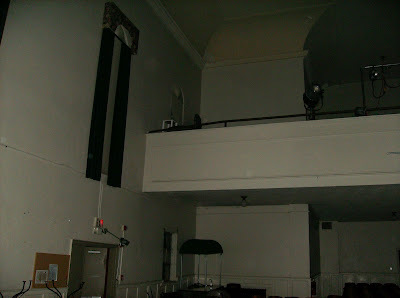 Oh, and I ain't no church goer! !